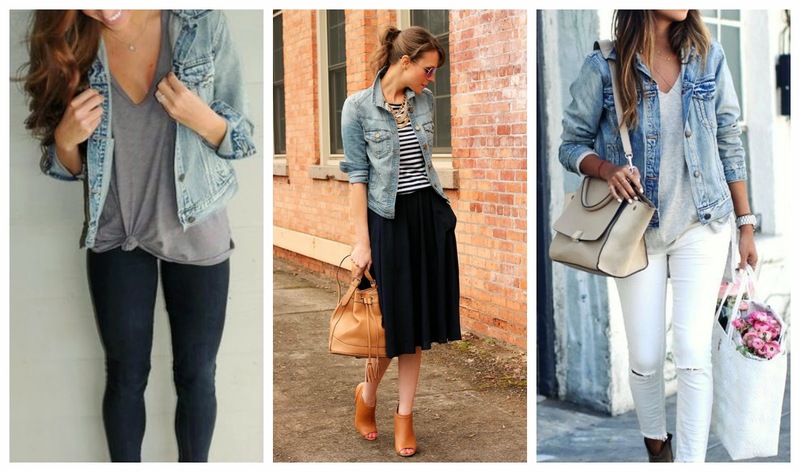 I decided to do an entire post about denim jackets because I love them so much. I really think they are a staple in every woman's closet. I own three of them and probably have one on at least once a week. The thing about denim jackets is that they work in almost any season (especially here in the Pacific Northwest where it doesn't get crazy cold in the winter). You can dress them up, dress them down, wear with shorts, pants, leggings or skirts. See what I mean? Versatile, fun, you need one. Done. 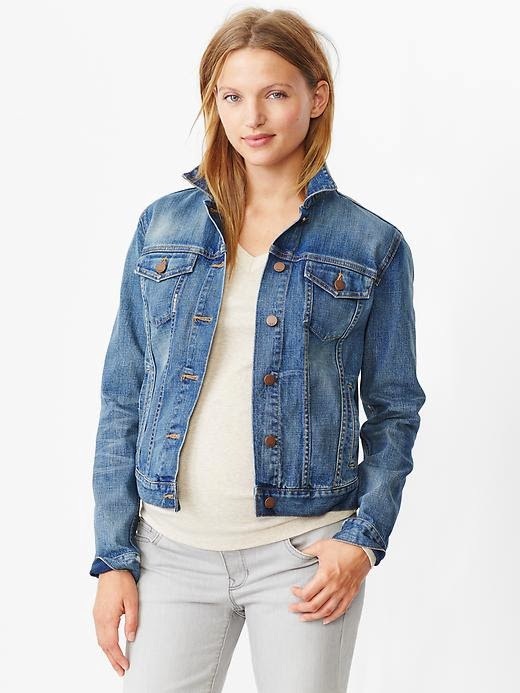 Here are the two denim jackets I've gotten from Stitch Fix. The first I got last fall (click here for my full review) and the lighter one I got in last month's fix (click here to see that review). It's my favorite, by far, because it's stretchy, soft and comfortable! 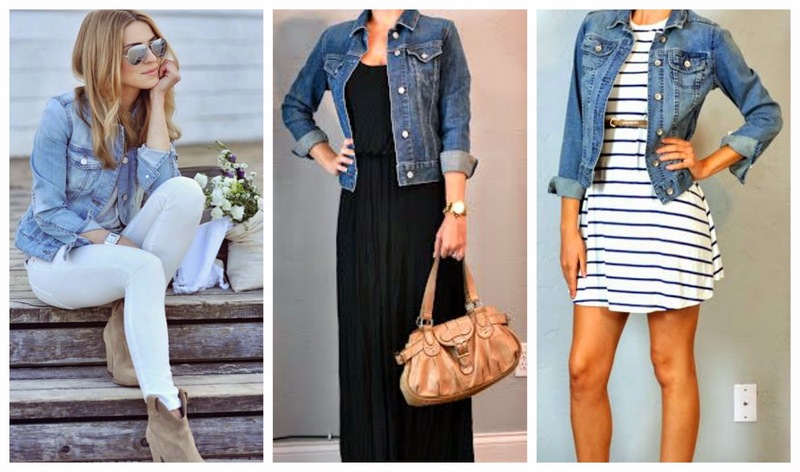 I scoured Pinterest looking for some ideas and I found some outfit inspirations that I LOVE! And if you are in the market for a new denim jacket, may I suggest a few for you? Perfect, thanks. Here you go! Nordstrom is a go-to for staple pieces, because listen, if you want it to last, you're going to have to pay a little more. And that's really the bottom line. Feel free to go cheap (no judgment here), but it won't last as long. I can almost promise you that. I'm loving the cut and wash on this (click picture to order). Oh, GAP, you never do me wrong! And if you'd like to try out a jacket, but don't want the investment, seriously, click on this picture. Um, less than $12!!!! Hurry before the stock runs out!!! See what I mean? 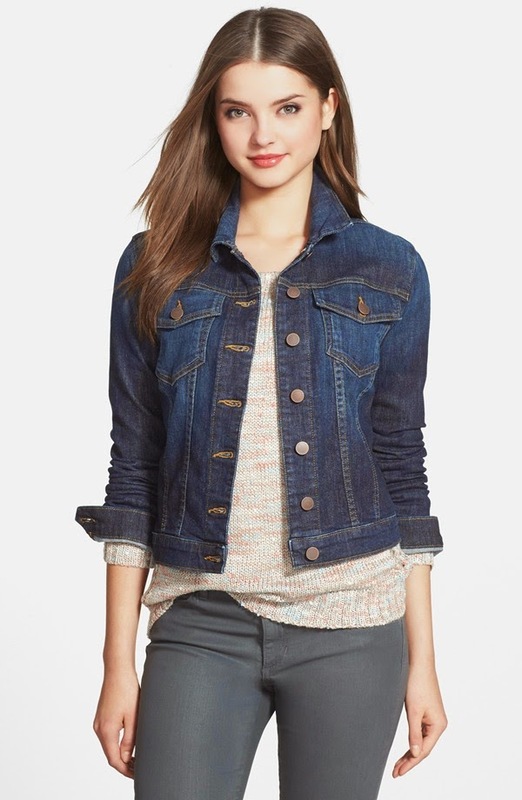 We're all loving the denim jacket. What's your favorite way to wear one?